Jarome Iginla draws the blackout curtains. He keeps his room at a cool temperature. He silences his cellphone. Sometimes he reads a relaxing book to drift off. The Colorado Avalanche ice hockey forward has played professionally for 18 seasons. But only recently has he happened upon this simple eye opener. Quality sleep really does matter. Especially to athletes. The closer Iginla comes to nine hours of slumber on any given night, the better his production seems to be on the ice. That is why Iginla is not a big fan of early morning practices before games. Those skate sessions are a part of hockey tradition. There is evidence that sleep restriction curtails adequate rest and recovery for athletes. It can impact performance. Some NBA teams have even dabbled with eliminating the traditional shootaround. That is a brief practice held earlier on the day of a game. Cheri Mah is a researcher at the Stanford Sleep Disorders Clinic and Research Laboratory. She tracked the sleep habits of the men's basketball team at Stanford University for a study. It was released in 2011. By extending their sleep, the Cardinal players increased their 3-point and free throw shooting by 9 percent. Iginla sees how the evidence can come into play on the ice, too. "When you're tired, it doesn't seem like the game comes as quick," said Iginla of the Avalanche. He began working with sleep coaches while with the Calgary Flames a few years ago. "You want to keep things fresh, kind of like a kid." He said that is where you can't wait to get on the ice, can't wait to go out there and expend that energy. The more you capture that the better." Nashville Predators coach Peter Laviolette actually scrubbed the morning skatearound. That was when he was with Carolina in 2008-09. But he was fired that December and didn't get to see the experiment through. The Hurricanes went to the Eastern Conference final after he was let go. Today, Laviolette is convinced the lack of a skatearound early in the season played a role. "I think it's because they had a lot of energy left," Laviolette said, smiling. "I think right now (skatearounds) are more habit than anything else. I don't necessarily think it's good for you." Still, players are creatures of habit. Maybe decades ago, skating or shooting around before games was a necessary ploy. It was a way for players to loosen up after a late night. Nowadays, players are more conditioned. "I'm all for that, getting rid of those," Anaheim forward Ryan Getzlaf said. "It's just kind of been instilled in some guys that they need to go on the ice." Dr. Charles Czeisler is known around NBA circles as the "sleep doctor." He is the chief of the sleep disorders division at Brigham and Women's Hospital in Boston. Czeisler has worked with several professional teams. 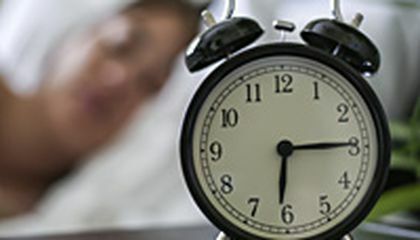 He believes more emphasis should be placed on monitoring the body's internal clock. A few seasons ago, Czeisler consulted with the Portland Trail Blazers. The basketball team had a trend of struggling on East Coast trips. His biggest advice? Keep everyone's schedule on Oregon time and not, say, New York time. That three-hour difference is huge to the body. "So the coach told them, 'OK, your curfew is 2 a.m.,'" said Czeisler. He also has worked with the NBA Boston Celtics and Boston Red Sox baseball team. "The players were all very excited about that. Trying to adjust is just going to degrade your performance." Czeisler would like to see sleep taken just as seriously as strength programs or nutrition. "Would you starve yourself before a game and say, 'Ok, I'm not going to eat for 24 hours?' That would be crazy," Czeisler said. "There's no reason to sleep-starve yourself before a game." In Mah's opinion, elite athletes need between 8-10 hours of sleep. "So often sleep is the first thing to go when there's a busy schedule and a lot on the plate," said Mah. She recently offered sleep guidance to the NBA's Golden State Warriors. "Making it a priority is essential for players and coaches." NBA teams such as the Minnesota Timberwolves and Denver Nuggets have experimented with cutting down on the traditional shootaround approach. Instead of having their players practice at the gym early in the morning, then return that night for the game, they're having them arrive closer to game time. Recently, though,the Nuggets decided to go back to the early morning shootaround. It was by a 6-5 player vote. Not everyone is a big fan of getting up early. "I notice when we had no shootaround, everyone is more upbeat when they got to the gym," Denver guard Ty Lawson said. "It sticks better and it's fresher (later in the day)." Lawson prefers to break his sleep into chunks. He sleeps five hours at night. He takes a three-hour nap during the day. "When I get back from shootaround now, that's all I do is nap," Lawson said. "If I don't get that nap, I'm done." Iginla certainly wouldn't mind being done with morning skates. But it might take a Stanley Cup hockey champion to usher in that sort of change. "That's what it will probably take to get it to catch on big time," Iginla acknowledged. "I'd rather get a little more sleep." Critical thinking challenge: Why is it likely that the Red Sox and Celtics worked with Dr. Charles Czeisler rather than another doctor? We all know sleep is essential. Without it, our brains wouldn't function properly. One area where sleep is essential is school, and the same goes for sports. A Stanford basketball team reported a 9% better shooting average when the team got better sleep. Personally, I believe sleep is essential for success in anything. Even I generally do better at midday practices over early morning practices. sleeping does help us do to do better on sports because it can make us more energetic and handy of a help of hand because of sleep. By sleeping more you win more during finals whether practices and even tournaments. Even though that the fact could be mostly everyone sleeps well it makes it up for why those people are really good at sports. As my opinion it being sleeping is better for doing more in sports. Question of the Day : Why is it likely that the Red Sox and Celtics worked with Dr. Charles Czeisler rather than another doctor?
" Dr. Charles Czeisler is known around NBA circles as the "sleep doctor." I also think that they chose Dr. Charles rather than other doctors because like in Kaiser the doctors tell you about health care and things that are wrong with you and if you need surgery etc. but Dr. Charles tells you about sleep if your in a current sport. My final reason why I think that is because national sports that go onto the TV athletes practice for a very long time probably longer than 1 and a half hours, and there are many nightly time games like the Giants and the Warriors. They can get sleep but not enough because they have to fly if they are visitors, get practice at places where they can because it isn't they're place, then have the actual game. That is what I think about having Dr. Charles rather than other doctors. The Red Sox and the Celtics probably worked with Dr. Charles Czeisler because he is known as the sleep doctor. Dr. Czeisler thinks that tracking sleep is just as important as strength work outs for the members of sport teams. He said that any player would not refuse to eat before games so they should not refuse to get good sleep. He also thinks that teams should stay on their own time when they travel to other time zones. That would help to keep their sleep on schedule. Dr. Czeisler seems to have good ideas about how important sleep is to athletes. The Red Sox and Celtics picked Dr. Charles Czeisler rather then a another doctor. they picked him because he is a good doctor. he is a doctor because he travels all around the world to help people. He is not just a doctor he is a sleep doctor and sportsmen need sleep. That is why they picked Charles. Th question is why is it likely that the Red Sox and Celtics worked with Dr. Charles Czeisler rather than another doctor. I think that because he has helped many teams with sleep in sports. Also because he knows things others don't because he has done it for a long time. One more is that he has been studying for a long time and knows other stuff. Those are my three reasons why they chose Dr. Charles Czeisler. They worked with Dr. Charles Czeisles rather then any other doctor because he was the best one to help you with sleeping. He is the best one because he has helped a lot of people. You can also tell by is nick name the sleep doctor. Another way you can tell is by his really good advise. These are all the ways you can tell that he is a good sleep doctor. Doctor Czeisler is known as the sleep doctor. Athlete's perform better after a good nights rest. 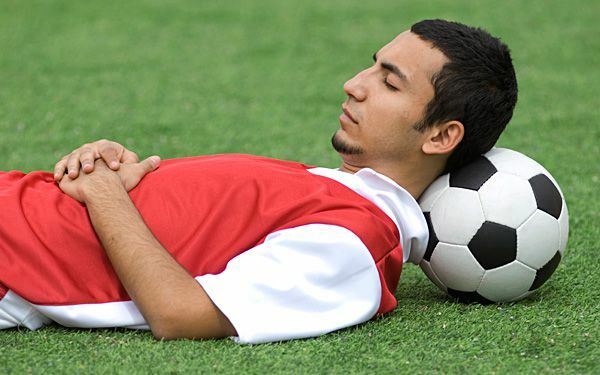 Athletes need 8-10 hours of uninterrupted sleep. Basketball players perform better when they don't have early shooting around.